Hopeless was what my March TBR Pal picked for me to read this month, and I can honestly say I have no idea why I put it off so long. 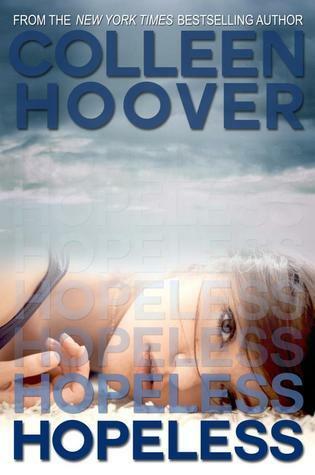 I love Hoover’s writing and I love that she can utterly destroy you and build you back up all in the same 500 pages. Hopeless is no different. Sky’s life changes when she urges her mom to let her go to public school: she meets Holder & Breckin, and she begins to understand who she is. Suddenly even the thing she thought she understood about herself becomes clearer and she’s fighting to keep her head above water. I did not expect this storyline at all…everything caught me off guard. I thought this was going to be about Holder’s somewhat intense personality, and while it does go into that and explore his own process of healing, it’s soo much more. It’s a book about letting go, self discovery, and overcoming even the darkest of moments. I love the writing, and the way this one progressed and how there was much more of a mystery than I expected there to be. I loved Sky despite her troubles, in fact I love her all the more because of how she pulls through. Holden took some getting use to though, but as the story unfolded his intensity became more understandable and I found myself loving him too. These two fit together, but only after they allow their walls to come down and the struggle between them to open up is one that I found to be really relatable. Somethings are just too hard to say out loud , and in some cases saying them out loud suddenly turns a thought into a reality and that can just be too much. The way their relationship truly started had me a bit disappointed because it seemed to be a case of insta-love and I hadn’t expected that over a Hoover book, but it’s not…there is definitely more to it. The pacing is slow, though I read it really quickly, and the story really takes a moment to give you a full set up so if you’re having trouble with the first few chapters just give it a little bit longer. This one didn’t make me cry (thankfully) but it did manage to pull me away from a game I’ve been dying to play for about 5 months…which is pretty much the same thing in my world. Hoover’s ability to tell an engrossing story is definitely worth the hype, and even worth adding to my auto-buy list. Image | This entry was posted in Book Reviews (2015) and tagged 4 stars, contemporary, new adult, review, romance. Bookmark the permalink. Sounds like an intense read! Love a story that can destroy you, then build you back up all in the same book. Think I need to check out Colleen’s books! Whoa, I didn’t even realize it was almost 500 pages! It didn’t even seem like it when I read it. Yeah, I don’t think this one made me cry either, but I may have got a lump in my throat.